Production Record | Mitchell Scientific, Inc. Emissions Accountant provides two basic organization resources for maintaining production related emission records. 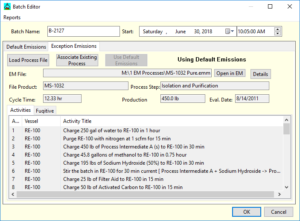 Emissions Accountant can track batch-wise production records. The user simply creates a new batch record and specifies a batch number and date when the batch was prepared in the factory. Alternatively, factory production may be entered as the number of batches that were produced in a given month or other calendar period. 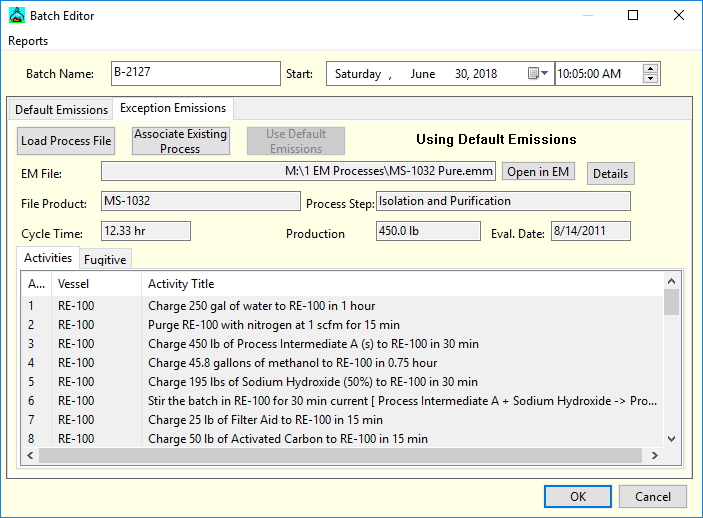 Also, the total amount of product (lb or kg) may be specified and Emissions Accountant will automatically calculate the number of batches from the standard batch size. 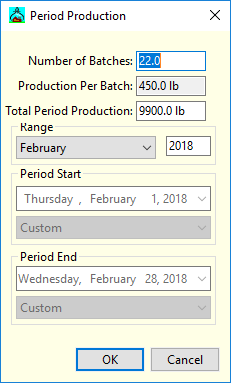 The figure to the left shows that 22 batches or 9,900 lb of product were produced during February 2018.